An empirical truth amongst canine breeders states that a Dam has a lot more influence on the pups than the Sire. So you want to get two healthy and champion dogs to start with but you want to focus as much as possible on the female(s) rather than the male(s). However, science tends to say that genes are inherited very closely to 50-50 and then some genes are more dominant than others in defining traits. Genes (but also DNA, Genetic Pool, Genetic Material) code for the traits your dog will show, both physically and mentally (behavior). 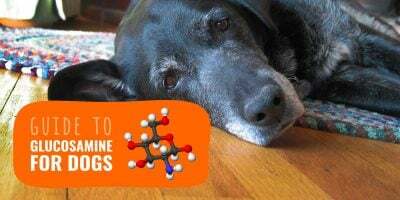 As important as genes are in any living organism, genes are not all — the environment which your dog lives in also plays a central role in the way some of its genes will express themselves through its years of life. 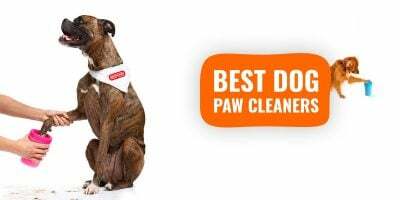 The environment could be the weather conditions but some factors influence more than others and amongst the most influential factors in a dog’s life, there are his parents, his breeder and his owner. Homozygous is a genetic condition where an individual inherits the same alleles for a particular gene from both parents. The first and most important principle here is that mating two dogs do not create anything new. The offsets, here the puppies, you will get are there because of that is there to start with: the parents’ DNA, genome and genetic material. Some traits perhaps have been hidden for many generations, but because it was there and still is, it can this time appear. When it does not appear, we call that a recessive gene. Many companies offer effective DNA testing to know whether a dog is a carrier, affected, or clear. Puppies from the same litter commonly share 50% of their genes (on average.) Each litter mate randomly inherits 50% of its genes from his father and the other 50% from his mother. The only thing here is that they do not necessarily the same 50% from each. This is why each littermate is different in the same litter. Dogs are not our toys, we should not design them according to the current trends and play the Gods of Nature. Instead, we should establish fair dog breeding objectives to what we want to achieve in the upcoming litter. A dog influenced by his parents’ genetic code may be great for you if he has blue eyes but disastrous for someone else who is after brown eyes. Your goals and judgments should be based on a combination of medical soundness and function, not beauty exclusively. The important of the features you were after in a puppy is a disaster if along with it, the puppy has inherited from a serious medical condition. It is the dogs and the litter as a whole that really matters, not the exception, whether it be good or bad. 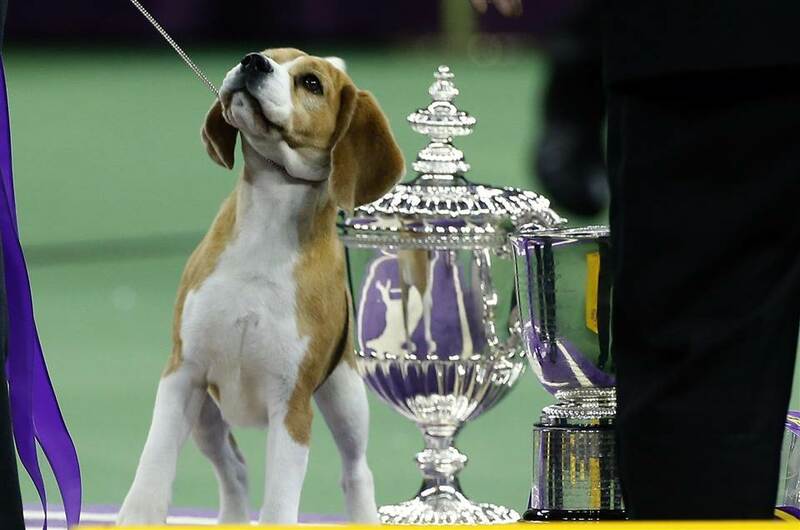 The Beagle, Miss P, which won “Best in Show” at Westminster Dog Show comes from an award-winning dog heritage. After a few litters with the same Sire or Dame, with different partners, you will see what are the similarities and you will then be able to spot which ones of your adults tend to offer more of themselves to their descendants. You will then need to find complementary partners to your prepotent specimen to enhance and improve your litters. It is easier to test with a Sire since Dams should have at least a year and a half between its litters. Breeding two dogs do not create anything new. Inbreeding is scientifically the most efficient method to reproduce and fix desirable characteristics and traits over to the next generation. 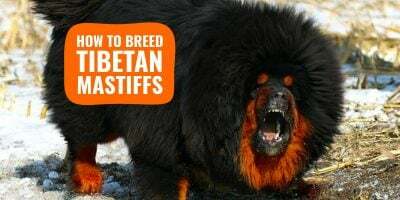 However, on top of fixing great qualities in your dog, inbreeding will also fix and strengthen the recessive deleterious traits that will then cause hereditary medical conditions. 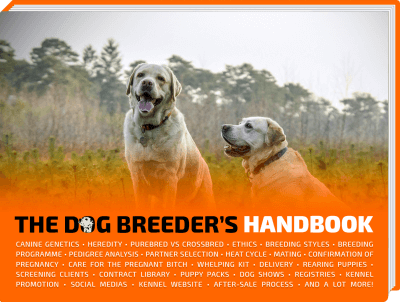 Once the characteristics you wanted to fix are in place, most breeders will suggest line-breeding with occasional outcrossing to adopt a prudent approach while keeping the traits in the gene pool. The other important influence parents will have on their puppies is how they will be raised. To avoid unstable puppies you want to raise mentally stable parents (especially the mother) and look out for signals that would suggest they do not feel great. You want mentally healthy parents to show your puppies the way life is lived in the human world during the first weeks. 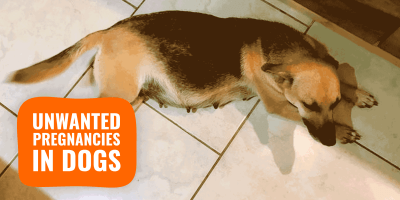 Aggressive adult dogs will tend to raise stubborn and unstable puppies. It is primordial to look out for any behavioral issue and address them immediately with a specialist trainer. During its growth, a puppy will still be influence by its parents and environment. That being said, you will have a huge importance in how your dogs and puppies will evolve and grow so even if parents are extremely important, you do not want to defer all responsibilities to the Sire and Dam. You may not interact immediately with the puppies’ evolution but you do have an enormous impact on the parents and the mother just after the birth. Make sure you look after the mother so she does not show post-pregnancy anxiety and neglects her puppies. Most people make the very same mistake at each litter: they give all the attention to the puppies, and they should, but they completely forget the mother who rightly feels left alone in a tough moment. Because she gave birth does not mean she does not need love and cuddles anymore. What you eventually want to do is to have such a prepotent and influent dog (or several) to then start your very own line and become a renowned breeder. Having your own bloodline is very different to being just another breeder — establishing your own bloodline means continuing the development and refinement of the finest characteristics of the breed. The breeding of outstanding dogs is an Art, with a bold scientific base. To establish your own bloodline requires knowing your dogs’ strengths and weaknesses, a solid breeding plan and great knowledge in genetics.